...all that we can be, not just what we are." -from "The Eagle And The Hawk"
And all the memories we share? 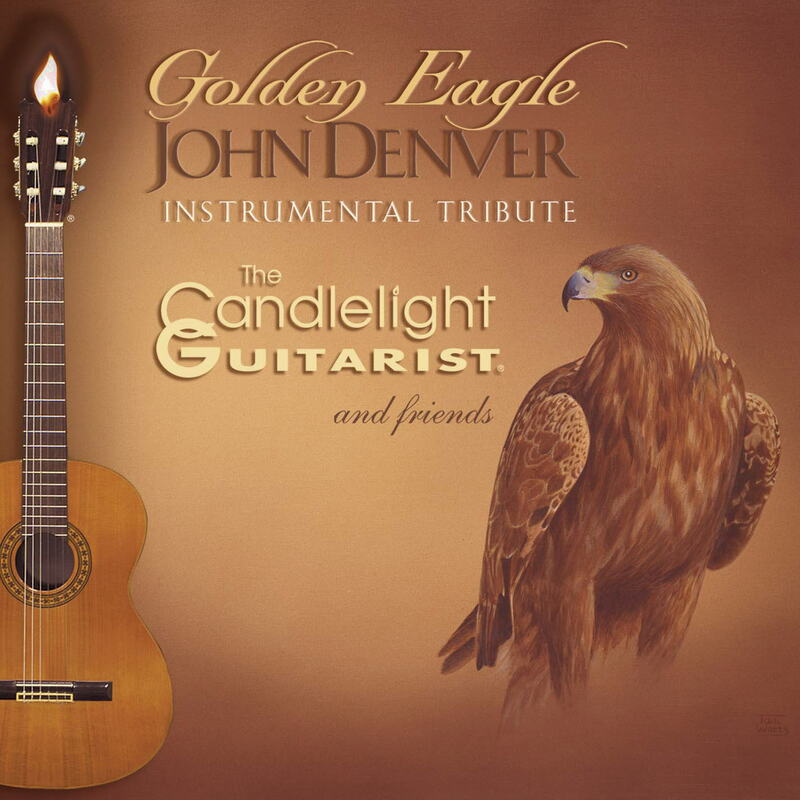 -from "Poems, Prayers and Promises"
Golden Eagle: JOHN DENVER Instrumental Tribute , from the Candlelight Guitarist and friends, offers 15 tracks featuring 13 John Denver classics, plus originals by Brad in tribute to John Denver (over 60 minutes of music). The album features several guest artists, some of whom worked with John Denver. 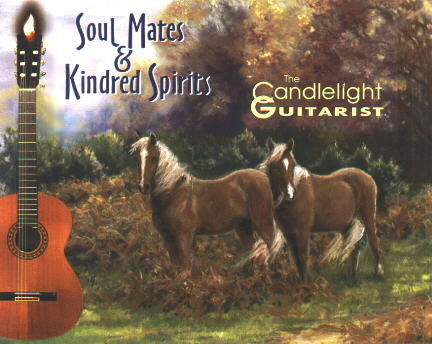 The CD features cover art by award-winning wildlife artist Toni Watts (herself, a John Denver fan based in Lincolnshire, United Kingdom.). Brad Powell has long been inspired by the music of John Denver, since performing "Leaving On A Jet Plane" in a school choir at age 14 (and duly noting the songwriter... mmm, by John Denver). Brad's older sister, Linda, took him to see John Denver perform at the Universal Amphitheatre in 1973 (conducted by Lee Holdridge), and the following month Brad drove from L.A. to Aspen to experience first hand the Rocky Mountains. As an aspiring composer, Brad met and was encouraged by Lee Holdridge (John's musical director and now a major film composer). 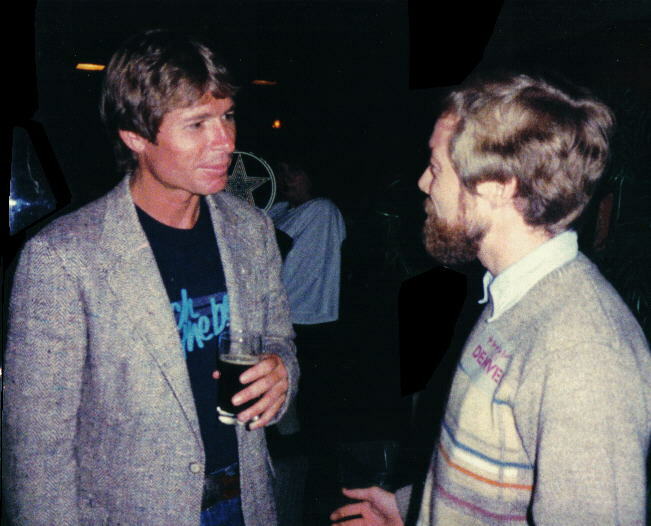 In 1984, Brad met John Denver and found him to be a kind, thoughtful and genuinely inspiring person. Denver's bridging of folk & roots music, pop and country, together with classical overtones, plus his purposeful message of hope, love, concern for humanity and the environment, all have greatly influenced Brad. This CD is his tribute. 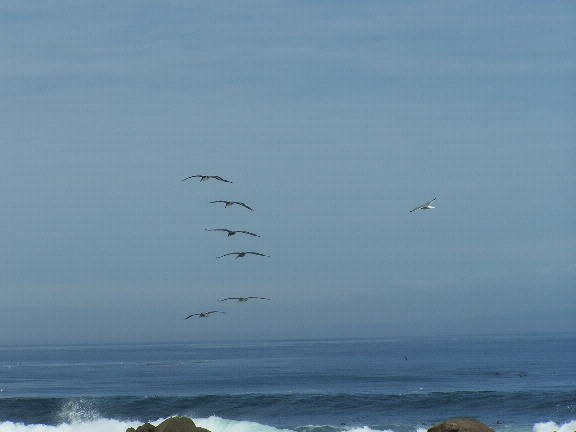 All songs published/administered by Cherry Lane Music Publishing Co.
"Wingspan" ~ "Cool Mountain Air" and "Golden Eagle (Soar To Possibilities)"
For detailed SONG PUBLISHING information, click here. "I suppose I shouldn't be that amazed at how much I love this new album from acoustic guitarist Brad Powell, a.k.a. 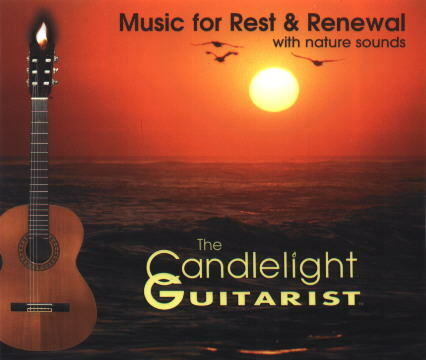 The Candlelight Guitarist. After all, I've thoroughly enjoyed and recommended his first three releases. I'm also a fan of John Denver's music, owning the live recording, An Evening With John Denver. Still, this is the first tribute album I've ever reviewed, let alone recommended (and highly recommended, too). Obviously, if you don't appreciate Denver tunes such as "Rocky Mountain High," "Take Me Home, Country Roads," "Annie's Song" and "Calypso," well, you can give this one a pass. 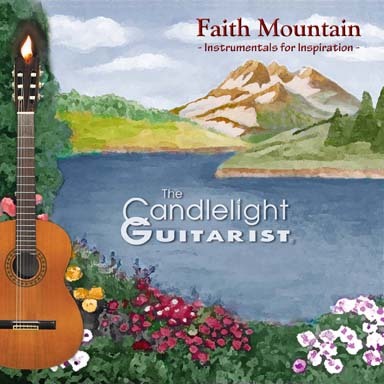 To be honest, the CD's thirteen covers (and two originals penned by Powell) are terrific acoustic ensemble instrumentals and, like his last two recordings, the guitarist displays not just his own talent, but brings in some solid accompanists (some of whom have direct ties to the late Denver himself). If you consider yourself a fan of acoustic guitar music, I think you owe it to yourself to consider adding this one to your collection. "To Powell's credit, while all the "hits" here are recognizable, his arrangements and treatments throw new wrinkles into the mix, whether it's the breezy swing feel he brings to "Rocky Mountain High" (helped greatly by Kenny Blackwell's mandolin), the transition of "Annie's Song" to a sweetly swaying guitar and cello duet (featuring cellist Caryl Paisner), injecting some Mediterranean Sea flavors into "Calypso" (featuring the accordion playing of Frank Marocco as well as Blackwell on mandolin and percussion from Michito Sanchez) or coloring the Denver staple, "This Old Guitar" with a subtle amount of jazziness. In short, these are not mere rote imitations of Denver's greatest hits. "In addition, Powell's two originals fit in nicely amidst the Denver tracks. "Cool Mountain Air" is a soft yet lively and sensual number that blends smooth jazz (Doug Webb on soprano sax, stand-up bassist Ernie Nuñez and piano by Mark Massey) with more a rural folksy sound courtesy of Blackwell's mandolin.  "Golden Eagle (Soar to Possibilities)" floats and glides gently, just as the titular bird would do on lofty air currents. 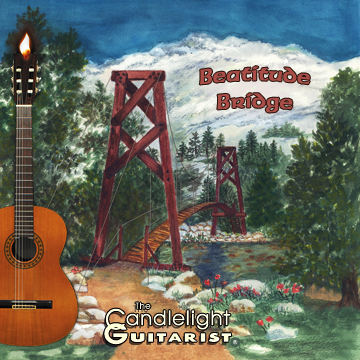 This track features almost all the accompanists at one time or another and it's a real musical treat, a classic slice of acoustic new age ensemble music with a touch of folk and jazz to spice it up just a tad. "Those of you who still turn up the car radio when you hear the opening strains of "Take Me Home, Country Roads," "Sunshine On My Shoulders" or "Rocky Mountain High" will, I'm positive, be as enchanted with Golden Eagle as I am. Powell has done a great job at retaining the familiar sound of John Denver's music while leaving no doubt (in my mind, at least) that these are his unique interpretations. Denver purists need not worry, as I can't believe any of the cover tunes travel far from what you are used to hearing. However, this is likewise not a "by-the-numbers" affair either. Above all else, what comes through loud and clear is Powell's deep and sincere love for John Denver's music as well as his desire to do right by him with this CD. I'd say he's has succeeded far beyond what most would expect. In addition, the cover of the CD deserves special mention - it's tasteful and gorgeous, from the fonts to the color scheme to the picture of the eagle. Download the recording as mp3s if that's your preference, but I think you'll be sorry you don't have the "real thing" in your possession. This is a special album and I highly recommend it." 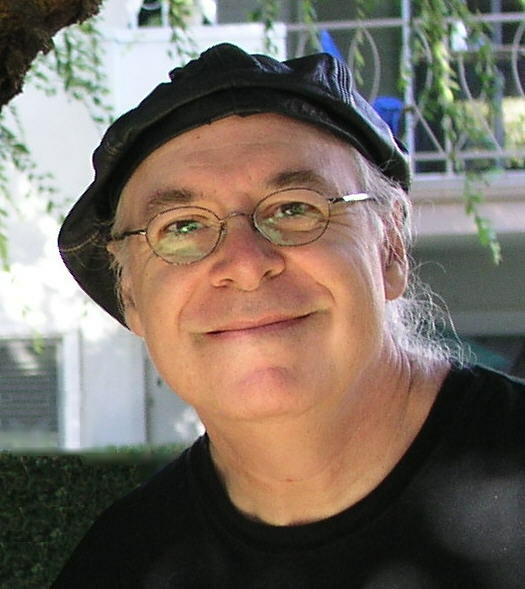 Bill Binkelman is author of Binkelman's Corner for NewAgeReporter.com. Binkelman created and hosted the broadcast Wind and Wire which aired for many years on KFAI "Fresh Air Radio" 90.3 FM and 106.7 FM (Assoc. of Minnesota Public Educational Radio Stations ~ www.AMPERS.org). Brad Powell's tribute album to John Denver is a séance. Powell's enchanting guitar music, and his well-crafted arrangements, bring the spirit of this great songwriter, performer, and activist into the room vividly. The vision of John Denver that we see, however, is transmuted by the deep meaning and personal attachment that Powell obviously feels for Denver and his work. 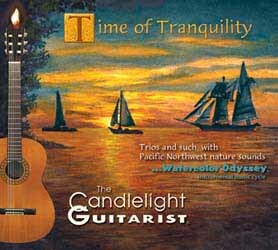 Brad Powell is a talented and highly trained California guitarist and composer who calls himself "The Candlelight Guitarist", and for good reason. 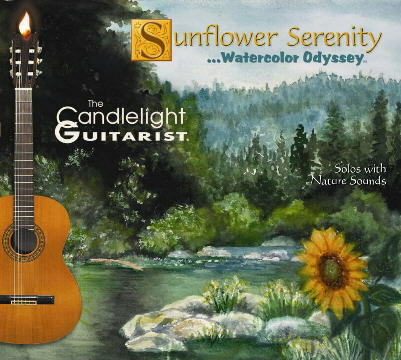 His music is perfect for situations in which candlelight figures prominently. Quiet meditation, romance, intellectual stimulation – the soft, pure tones of his Spanish and classic instrumental style open up your heart and render it more receptive to the spiritual messages that these pursuits engender. He has put this talent to good use in this retrospective of John Denver's considerable catalog of songs. Denver and his music are a major influence for Powell, and he produced this album to coincide with the ten year anniversary of Denver's untimely death in 1997. John Denver was a great lyricist, but for me, Denver is all about melody. In a time when it seemed as if there were no more great melodies left, Denver was able to consistently surprise and delight us with his turn of musical phrase. John Denver wrote songs in which the melodies were the medium through which the lyrics became memorable. Would any of us remember the words to "Poems, Prayers, and Promises" if not for that great melody? Brad Powell brings those melodies back to us; technically, he is an expert guitarist; great tone and a masterful sense of rhythm and timing. He infuses these familiar tunes with his own interpretation of their meaning for him as an individual, and for all of us who appreciate John Denver's music. There are 15 tracks on this album, all of them John Denver hits, except three very nice originals by Brad Powell. My favorite cut is "Calypso", Denver's tribute to Jacques-Yves Cousteau and the crew of the research vessel of that name. Powell's guitar captures the spirit of adventure, the sense of old-world informality mixed with a sense of mission, that characterized the Cousteau mystique. The gentle, affable accordion tracks by Frank Marocco (who performed with Denver in Los Angeles) and the mandolin highlights by Kenny Blackwell, help set the wonderful, optimistic mood of joy in one's work, and in helping the world understand itself a little bit better. Denver wrote "Annie's Song" for his first wife, Annie Martell. Powell's rendition is faithful to the sense of awe and surprise in the power of deeply felt love that Denver wrote into the lyrics and the melody of this great tune. A wonderfully sonorous cello solo on the melody, by Caryl Paisner (another John Denver collaborator), completes this great arrangement. This must have been a ponderous project for Brad Powell. These are careful, thoughtful arrangements, with a variety of instrumentation and talent, recorded in several locations across the continent. The resulting challenges for the recording, mixing, and mastering engineers impact the quality of the production in a few instances, but not in a way that interfered with my enjoyment of the CD. 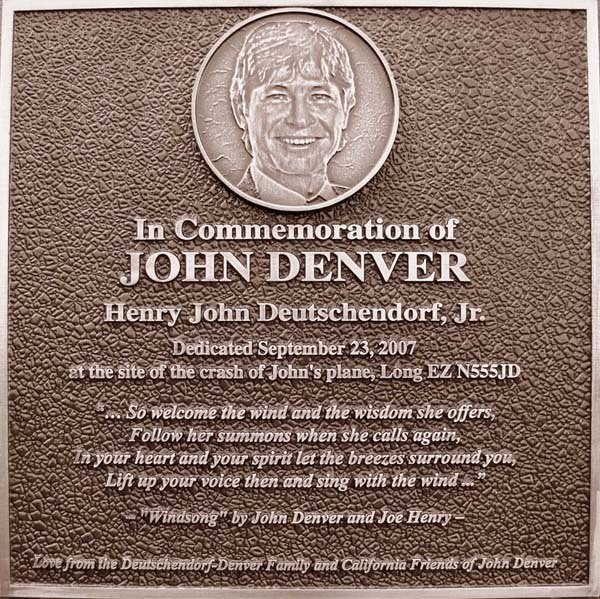 We John Denver fans tend to connect each of his songs with significant periods or events in our lives to which they seem to have some special meaning. 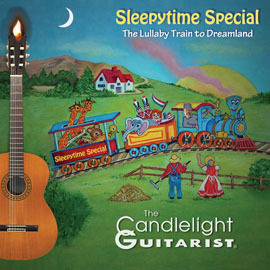 If you are among us, I would highly recommend that you purchase this disc (http://www.candlelightguitarist.com/). The music will bring you back to all those moments in your life when Denver seemed to have written a song just for you. Brad Powell's guitar work frames these songs perfectly: Evocative of the remembered moment, but seasoned with the wisdom gained in the interim. (This is the full, complete CD review, reprinted by permission. "This cd has to be at the very top of 'My favourite instrumental albums of all time' list. You certainly don't have to be a John Denver fan to love and appreciate this music,..but if you are a John Denver fan, then you are in for one hell of a treat. Not only do you have Brad's gorgeous guitar, but he is joined by other amazing musicians to create the most wonderful atmospheric tribute album I have ever heard." 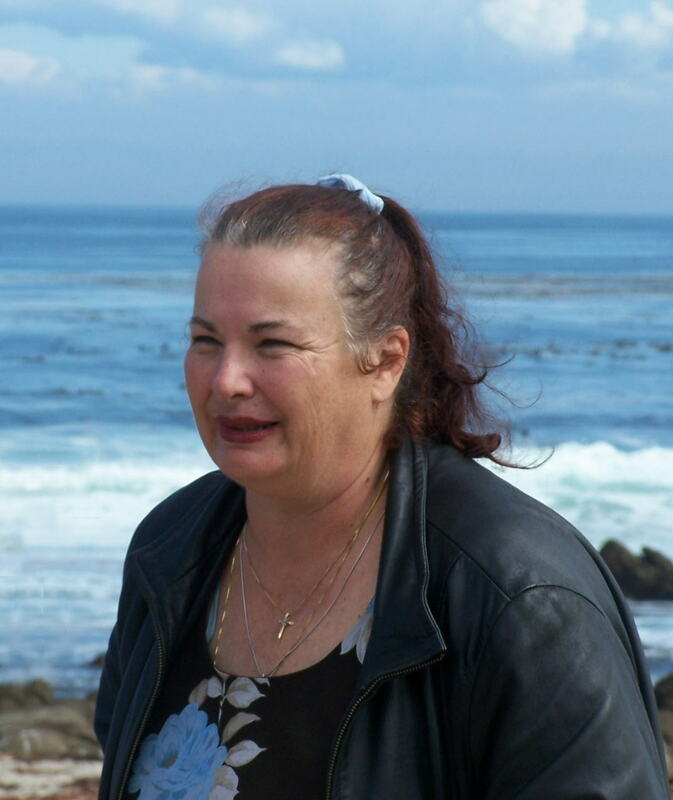 - Gillian Sawaged (Canada), October 18, 2007 ~ Amazon.com TOP 500 Reviewer. 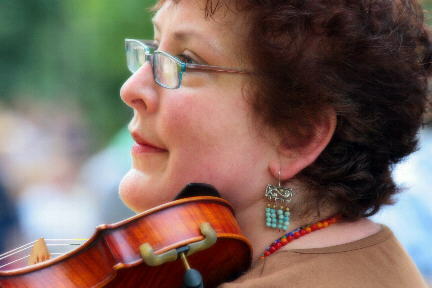 ~Jenny won the 2003 Vandalia Gathering fiddle contest. But that's nothing new... she won it in 1992 too, a year before taking the West Virginia State Folk Festival fiddle championship. Jenny's formal violin training started at age 10 with the classical tutelage of Nell Wiant and then, years later, Robin Kessinger taught her the old-time fiddle tunes she has grown to love. Jenny has toured Ireland, and she was recently a featured performer for the Northern Appalachian Music Association (NAMA). ~Michito toured for many years with John Denver, and recorded many albums with him. 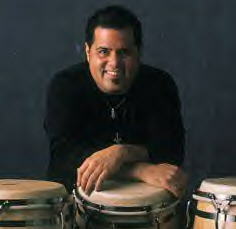 Michito has also worked with Crosby, Stills & Nash, Elton John, The Rolling Stones, Robert Palmer, Herbie Hancock, Placido Domingo, Luis Miguel, Glenn Frey, and many others. ~ Frank performed with John Denver at the Greek Theatre. 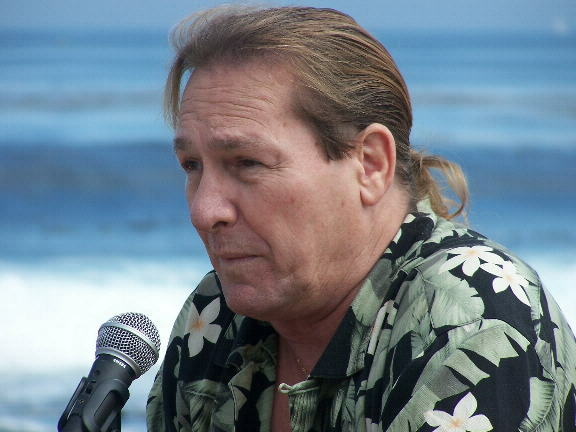 Frank has recorded with The Beach Boys on Pet Sounds, with Johnny Cash, Tracy Chapman, Harry Connick, Jr., Elvis Costello, Michael Crawford, K.D.Lang, Peggy Lee, Luciano Pavorotti, Pink Floyd ("The Wall"), Shakira, Frank Sinatra, and many, many other greats. 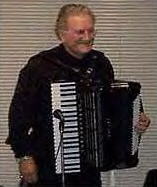 Frank's accordion work is also featured on many film soundtracks, including The Godfather II and III and Sleepless In Seattle, Back To The Future 2 and 3, Batman Forever and Batman Returns, The Blues Brothers, Edward Scissorhands, Father of the Bride 1 and 2, Mask, Meet Joe Black, and countless others. 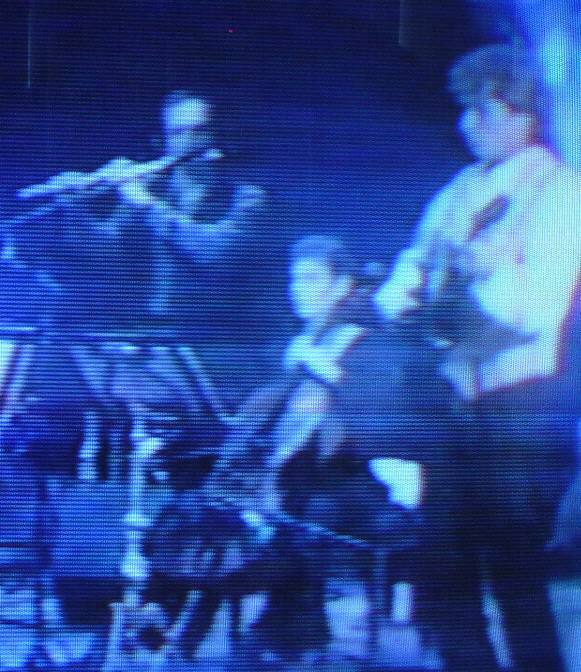 ~multi-woodwind artist Gilberto Hildavio has performed with a wide-array of artists, including Sergio Mendez, Diana Krall, Kenny Rodgers, Barry Manilow, and the Los Angeles Philharmonic Orchestra. 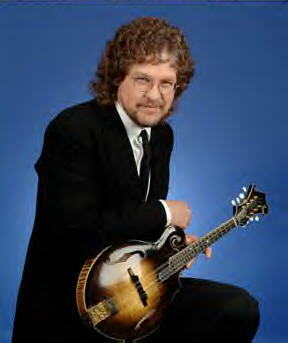 ~Kenny studied jazz mandolin under his musical idol, the great Jethro Burns, of Homer and Jethro fame. Kenny has worked with Linda Ronstadt, Bette Midler, Johnny Rivers, Neil Diamond, The Laurel Canyon Ramblers, and he's performed at the Grand Ol' Opry. ~Mark has toured the world, performing and/or recording with music legends Paul Horn, Hubert Laws, Phil Upchurch, Poncho Sanchez, Larry Carlton, and the late great Louie Bellson, Freddie Hubbard, Maynard Ferguson, Yehudi Menuhin, Stéphane Grappelli, and Tony Williams. Mark's own CD's have received wide airplay on jazz stations around the country. 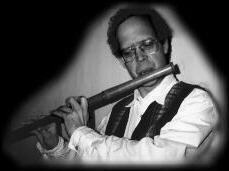 ~Doug has been featured on recordings by Carly Simon, Rod Stewart, Art Garfunkel, Englebert Humperdinck, Stanley Clarke, Brian Bromberg, Bobby Caldwell, Horace Silver, Bill Holman, and Bud Shank; Doug performed live at Carnegie Hall with Clint Eastwood, and he played with Doc Severinsen's band for 13 years. 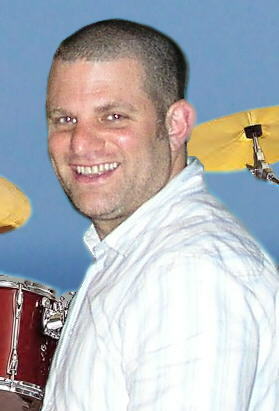 ~You may have seen Joe perform drums on T.V. 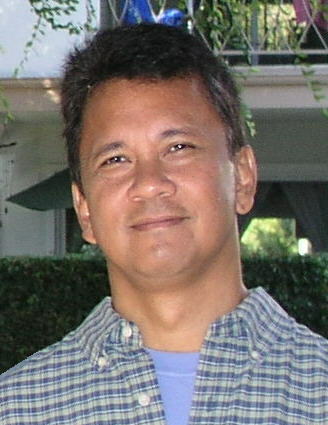 shows like The Gilmore Girls and Friends, he's also performed on soundtracks for TV and major motion pictures, including Star Trek (First Contact and Emissary), Beaches and For The Boys (both with Bette Midler), Batman Returns, China Beach, The Drew Carey Show, Mafia, The Mambo Kings, Melrose Place, The Nutty Professor (with Eddie Murphy), Odd Couple 2, Rat Pack, The Seinfeld Show, The Wild Wild West, and many more. 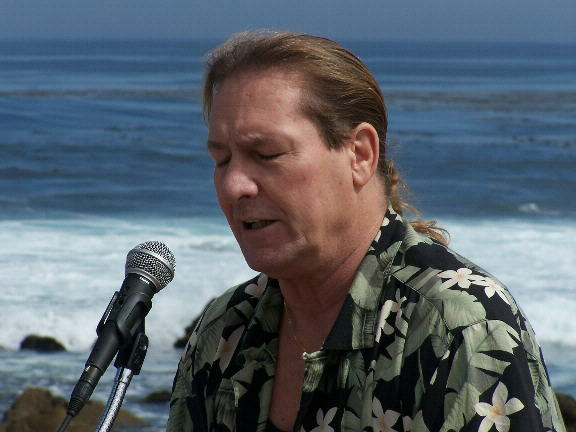 ~Ernie has recorded and toured with The Brian Setzer Orchestra and Les Brown's Band of Renown, Charles Rutherford's Pacific Jazz Orchestra, and Shades of Jade; Ernie is equally at home in jazz and latin sessions, classical ensembles and symphony orchestras, as well as the popular and eclectic genres. Pianist Mark Massey, Brad, and bassist Ernie Nuñez. Golden eagle nature sound courtesy The Hawk Conservancy Trust (used by permission). Cover artwork "Golden Eagle" by Toni Watts, © 2007 by Geofonica, Inc.
Hal Thau, of Windstar Productions, for his support and encouragement. Milt Okun and Cherry Lane Music Publishing Co., for bringing John Denver's music to us. Fern Carness, who opened the door to my meeting John in 1984, planting the seed for this album. John Denver, for his music and inspiration! 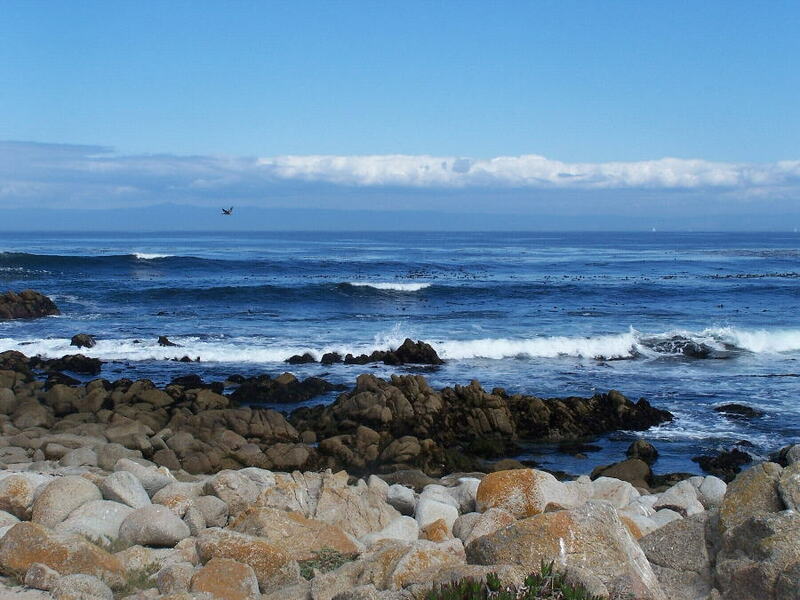 John Denver and his good friend Tom Crum co-founded Windstar Foundation, a conservancy, educational and philanthropic organization dedicated to environmental issues, protecting habitats, and encouraging personal growth. 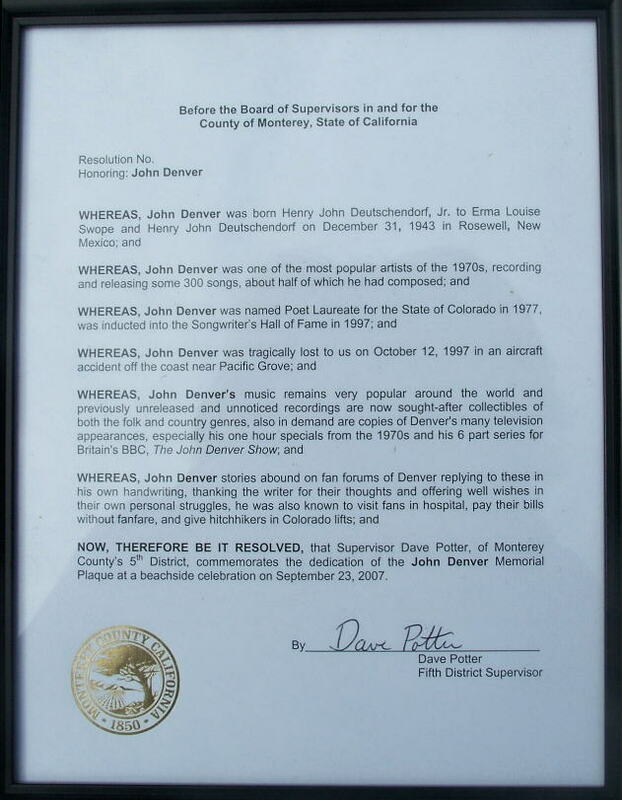 John Denver served as its President from its founding in 1976 until his death in 1997. John Denver's brother, Ron Deutschendorf (right), now serves as Chairman and President, leading the many dedicated people carry on Windstar's humanitarian and environmental work. 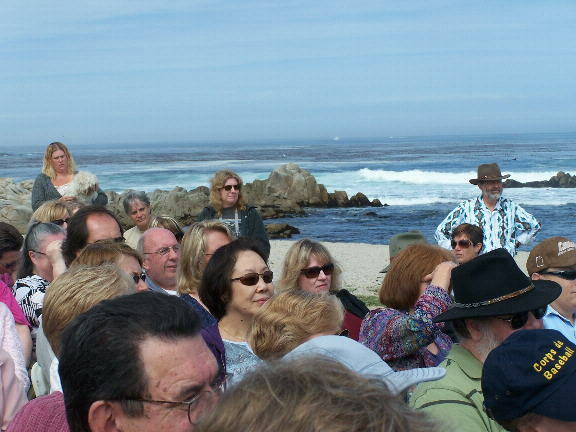 On September 23, 2007, family and friends of John Denver gathered in Pacific Grove, California (by Monterey Bay) to honor his life and legacy, and to dedicate a plaque to his memory, at the site of his tragic plane crash ten years ago. 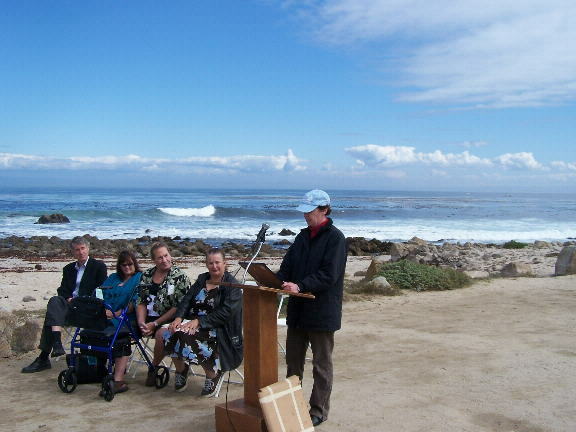 The memorial plaque dedication was the culmination of a ten-year effort led by Cynthia Doe, founder and president of California Friends of John Denver. 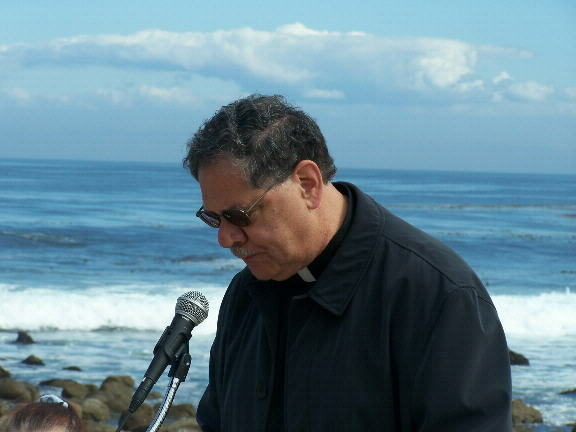 The memorial was co-officiated by Bishop Richard Garcia of Monterey, and Reverend Les Felker of Aurora, Colorado. Bishop Garcia (right) spoke of John's inspiring music and his work to help humanitarian and environmental causes. 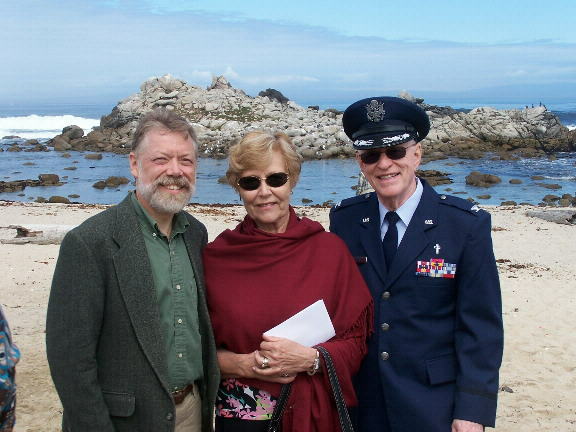 Reverend Felker (below left) reminisced about John's warm spirit, his joining in to sing with the church choir, his devotion to his mother and family ties. 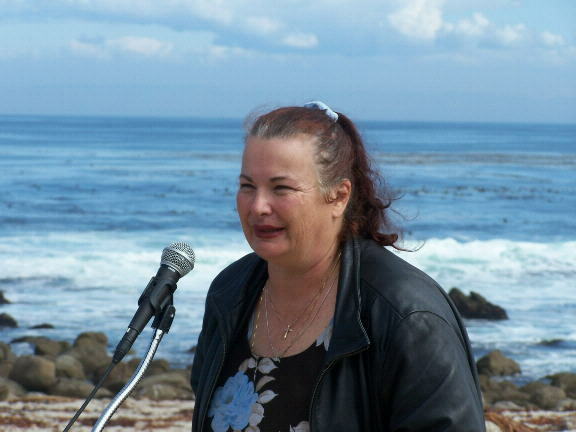 Cynthia Doe, founder and president of California Friends of John Denver, speaks about of the journey to establish this memorial to John Denver here in Pacific Grove, and offers thanks to Ron Deutschendorf for his support of the endeavor. Dr. Robert W. Fuller (past-president of Oberlin College and co-founder of The Hunger Project along with John Denver and Werner Erhard) spoke about when he and John met with President Carter to discuss the crisis of hunger in the world. Dr. Fuller said he felt "like a fly on the wall" as John Denver and President Carter conversed. It turned out that President Carter's daughter Amy was a John Denver fan, and President Carter asked for John's autograph for Amy. The day following that meeting, President Carter announced he was establishing a presidential commission on world hunger, and he appointed John Denver to the commission. 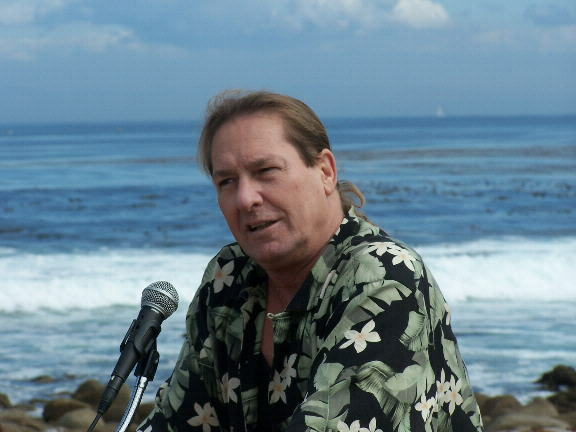 Ron Deutschendorf spoke elouquently and from the heart about his brother's desire to make a positive difference in the world--his efforts to eradicate world hunger, encourage environmental awareness and conservation, and of how these concerns led to John's founding of Windstar Foundation. Ron Deutschendorf then unveiled the memorial plaque. 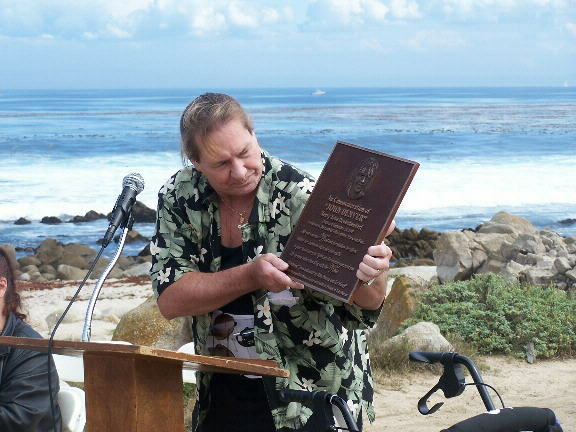 Here, Ron takes a look at the new memorial plaque in honor of his brother. (9/23/07). 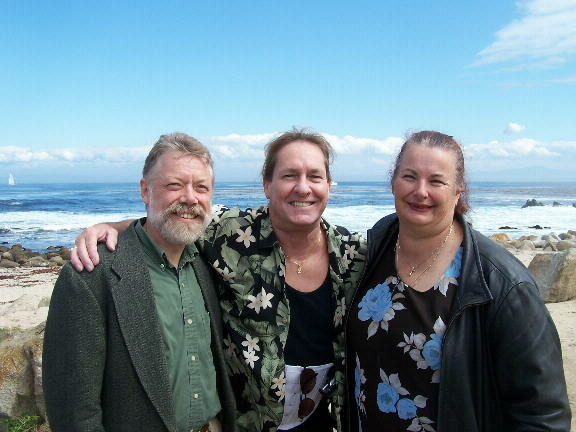 (RIGHT) Brad with Ron Deutschendorf (John's brother and President of the Windstar Foundation) and Cynthia Doe (president of California Friends of John Denver). 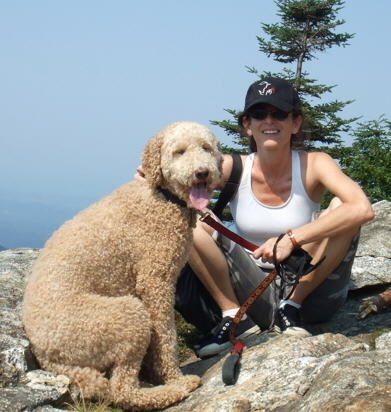 (LEFT) Brad with Mrs. (Glo) and Rev. 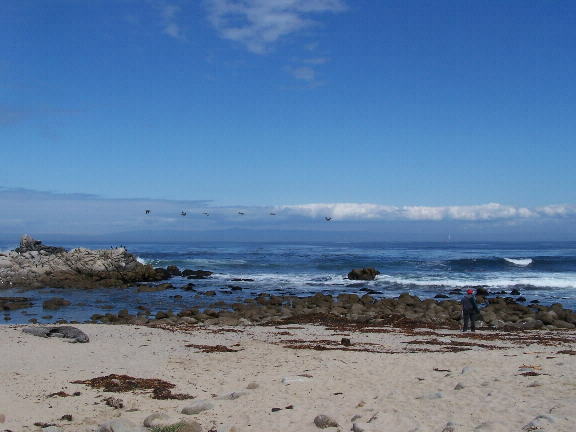 Les Felker, in Pacific Grove. Rev. Felker is the family's pastor in Aurora, Colorado, and officiated at John's memorial service in 1997. 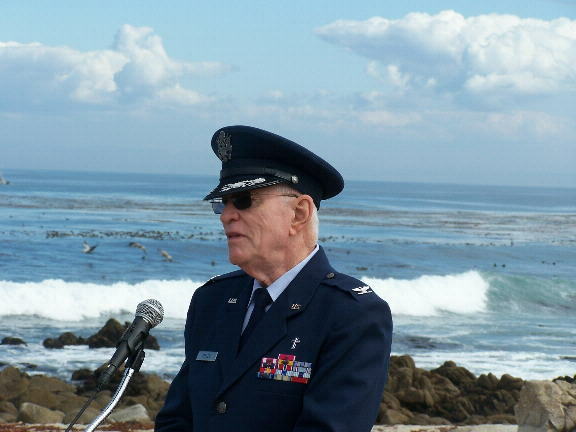 As a retired Air Force officer, Rev. Felker wore his uniform in recognition and tribute to Ron and John's father's service in the Air Force. 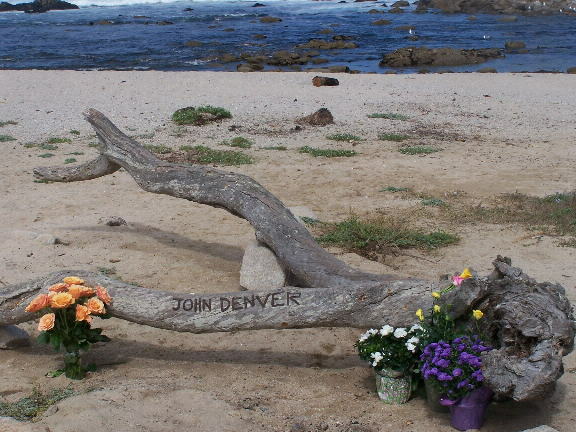 Shown above is the permanent John Denver Memorial plaque now in place at the Pacific Grove site. 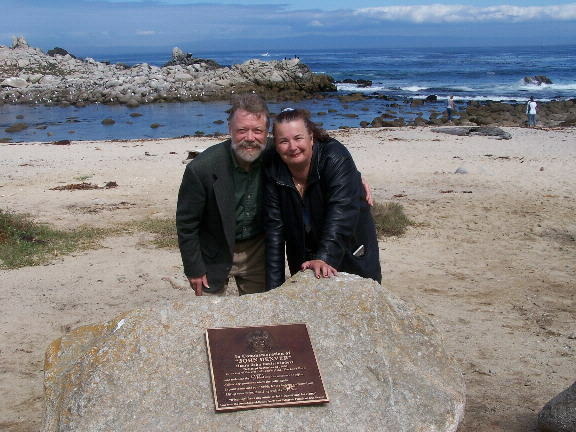 Judy Therrien of the California Friends of John Denver coordinated the effort--true to Cynthia Doe's vision--to complete the work of establishing the Pacific Grove memorial plaque honoring John Denver. 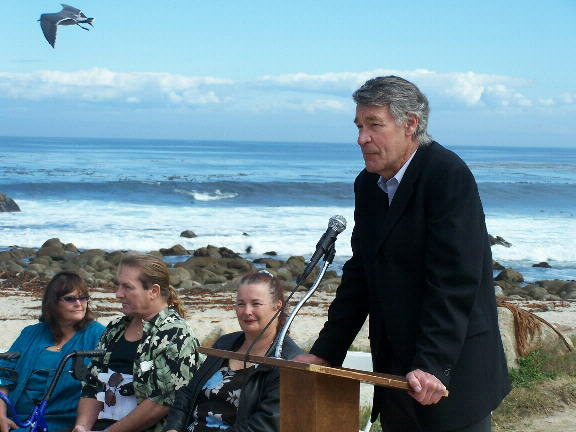 from the Pacific Grove memorial plaque, the words from "Windsong"
Cynthia Doe, founder and president of California Friends of John Denver, worked for many years to make the John Denver memorial in Pacific Grove a reality---working closely with John's family and associates, and with the City of Pacific Grove. Cynthia knew John personally, and she was inspired by his friendship and kindness, his music, and his desire to make the world a better place. This memorial meant so much to her, and the result of her efforts is a beautiful, permanent tribute to John Denver, that people from around the world can see and reflect upon when they visit this special place. Cynthia's vision and passionate determination, her kindness and goodwill, have inspired her friends, associates, and John Denver fans everywhere. The next day after this memorial event Cynthia suffered a stroke which led to an extended illness. 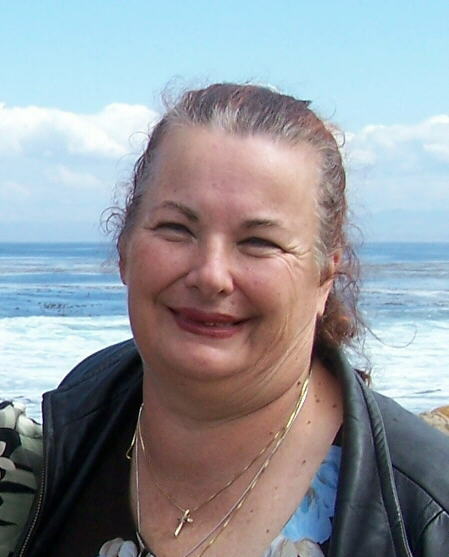 On Wednesday evening, January 9, 2008, Cynthia completed her earthly calling, and her spirit passed into eternity. May she rest in peace. © 2007-2015 by Geofonica, Inc.